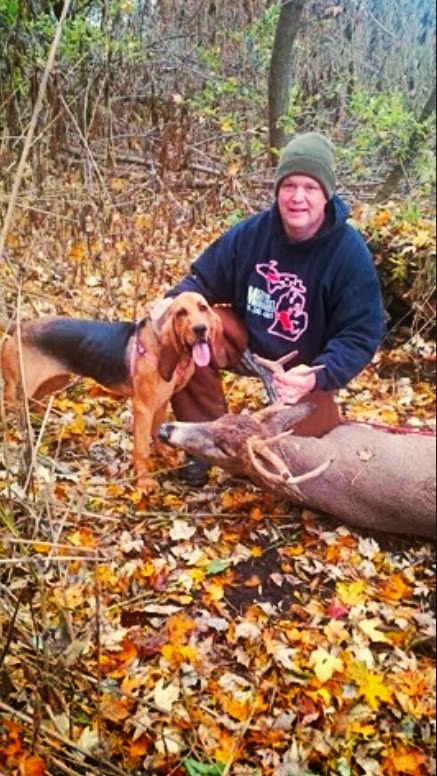 MICHIGAN DEER TRACK'N HOUNDS LLC Michigan's Professional Deer Blood Tracking Dog Services: Michigan Black Bear Hunting & Tracking. 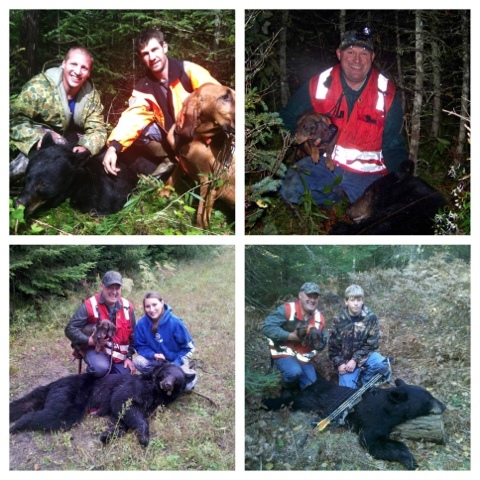 Michigan Black Bear Hunting & Tracking. 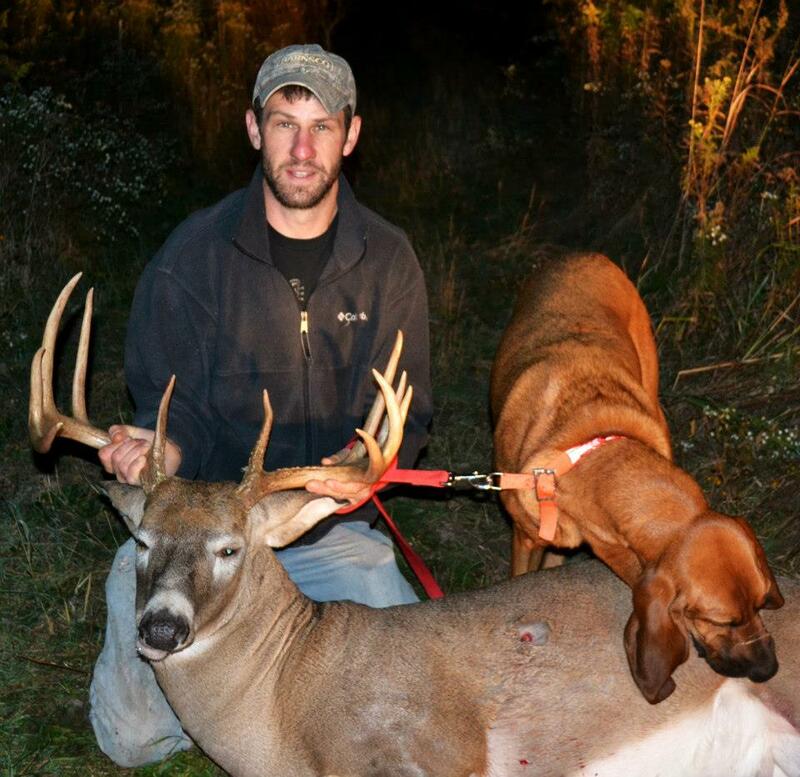 We at Michigan Deer Track'n Hounds are Capable of tracking any big game species. We primarily track whitetail deer however in early fall we do receive a few phone calls to track Black Bear and Elk. 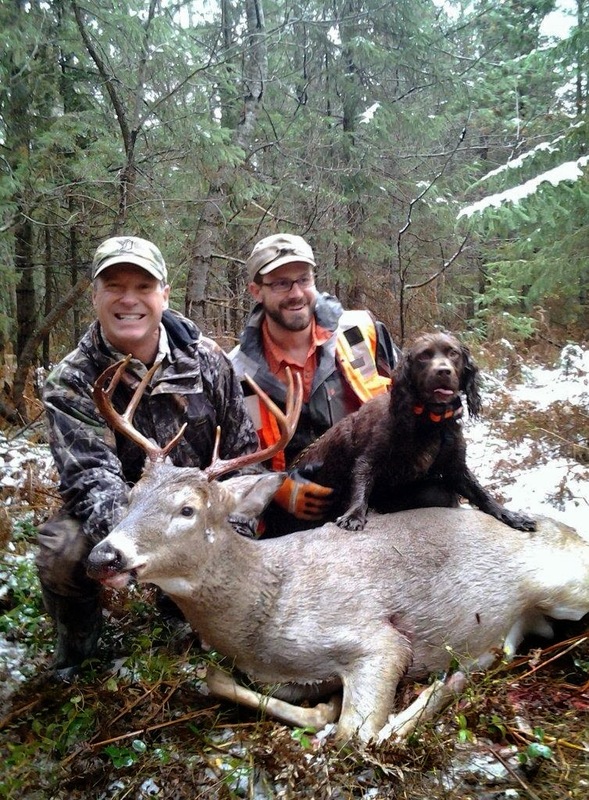 Black Bear maybe one of the easiest big game animals to track in Michigan. Even tho they maybe very difficult for Humans to track them by blood/foot prints because of to the dense terrain the bears live in. They are very easy for our trained tracking dogs to follow because 1st. they have a strong order and 2nd. they bear density is not extremely high so it's not likely the dogs will get on to a fresh/heathy bear track. So please keep us in mind this fall if you or your friends ever need assistance.